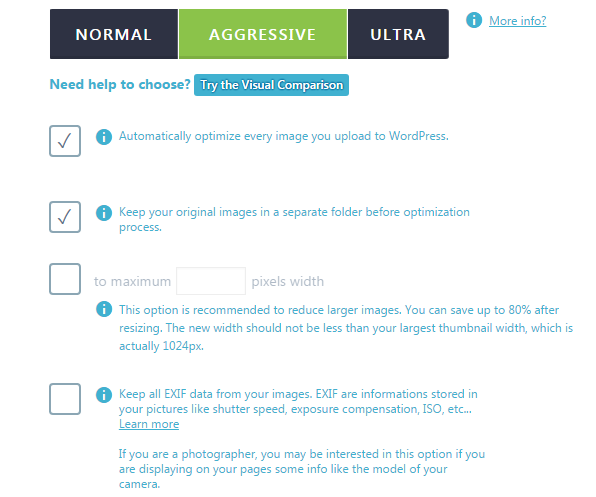 Why do you think we need wordpress image optimizer for? 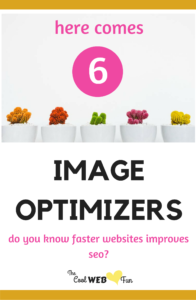 Why is image optimization seo even necessary? Let us start with image compression. Image compression is minimizing the image size of graphics file to such a level that the quality of the original image is almost unaltered or reduced a bit which cannot be noticed apparently. We need wordpress image optimizer as it helps in speeding up our site. But how? When images are compressed, the browser has to download fewer bytes and hence the loading gets faster. Lighter the total page size, the faster is the rendering of the page. The compressed images lower down the total page size sufficiently. Smaller the image sizes, faster is the back-up. By image compression, hundreds of KBs are saved per image and hence significantly less bandwidth usage. 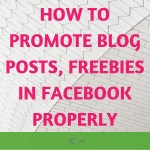 You simply upload your file here and download the reduced image. No need to make any account of the basic work. 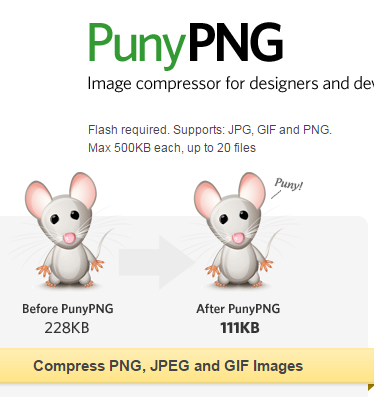 Tiny PNG offers a wordpress plugin too for JPEG and PNG images. It is a simple tool for reducing images. After uploading the image > View reduced images >You will get different sizes of thumbnails and several percentages of compressed images. Worth a try. 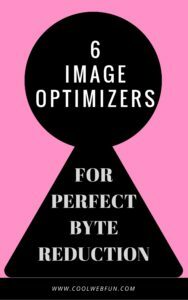 With online image optimizer, you can convert the image type. From JPEG to PNG for an instance. It reduces the size of the images without any loss of quality. You need to make a free account to access PunyPNG. It helps to reduce the weight of the images. The webpage loads faster as it saves the bandwidth. Here you can set the percentage of compression level. It is one of the most powerful plugins. 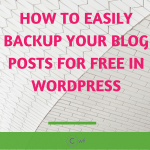 You can install the free plugin from wordpress. Free users can smush upto 50 images per click. But do not worry as you can do endless smushing by clicking more of ‘ Bulk smush now‘. Smushing can take a bit of time(usually less than 5 minutes) as it will smush 50 images in one batch. Maximum size allowed for smushing is 1MB. You can set height and width while uploading images. Developer API: You can use it to optimize images or PDF’s on any platform using this. 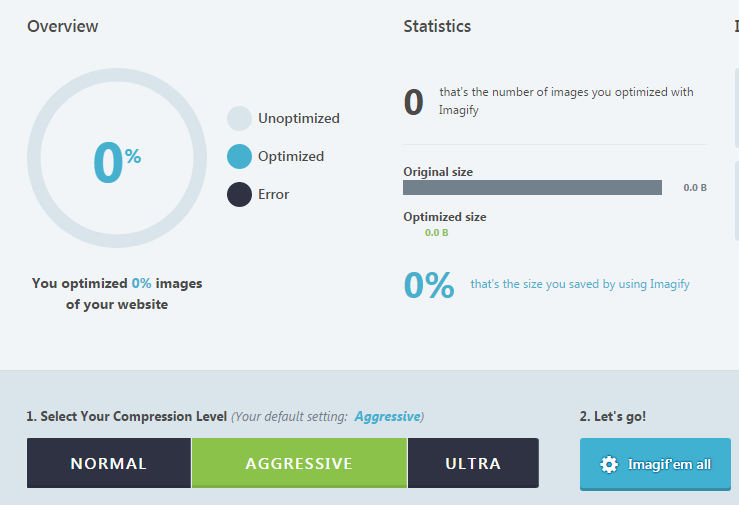 WordPress Image Optimizer Plugin: The plugin which we use in WordPress to optimize every image. 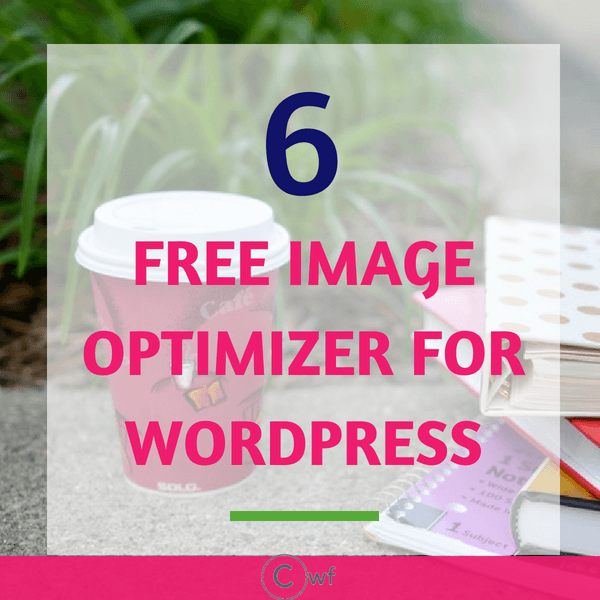 EWWW image optimizer offers a Free plugin and can be installed directly from wordpress plugins. On installing, it will automatically optimize the images which were already uploaded and also optimize the new ones as you upload them. On installation of the free plugin keep the default settings> save changes. Providing cloud optimization and lossy compression of images(Compression of images while retaining its quality) to achieve huge savings for PNG and JPG images. Pricing: Starts at 9$ for 3000 images and thereafter costs $0.003 per image. Pay for any additional credits used at the end of each month. 500 Bonus Credit points for new account holders. You can also avail EWWW as a pre-paid option. It is yet another popular plugin. I am sure many of us already use it. Optimus comes with a transparent pricing policy. 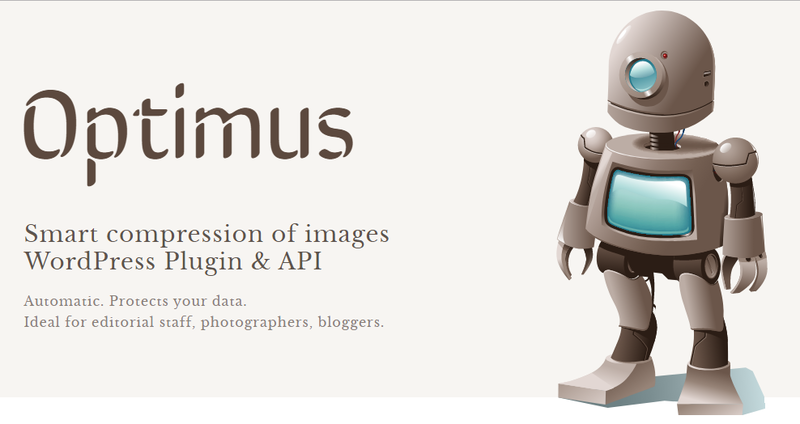 The size limit of the free version of Optimus is 100 KB per image though the unlimited amount of images can be done. Keep the default setting. Except you can tick on ‘no optimization of images while upload’ as it will slow down the upload process. You can do it later while bulk optimization. The size limit of 5 MB per image. To activate the free plugin you need to create a free account with the short pixel. You will get your API as soon as you sign up. Once your api key is validated you can keep the default settings and check your statistics easily. It can take up to 30 minutes depending on the number of images you are compressing. For a free plugin, the maximum number of images is 100 which can be compressed per month. You need to create a free account to use the plugin. Same as ShortPixel. 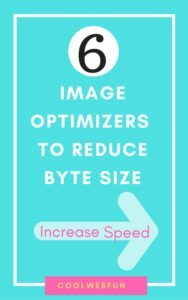 Images less than 2 MB can be optimized. 250 images or 25 MB can be optimized per month. Compatible with WooCommerce and NextGen gallery. 3 levels of compression available. Normal: Loseless compression. Quality of images is not altered. Aggressive: A Small unnoticeable amount of quality is lost. Ultra: Strongest compression with a lossy algorithm. You get 2 months free on the yearly plan. Lite: 4.99$ per month for 1 GB of Data (Approx 10,000 images). 5$ per additional GB. $49.9 /year. Basic: 8.99$ per month for 2 GB of Data (Approx 20,000 images) 4$ per additional GB. $89.9 /year. Standard: 19.99$ per month for 5 GB of Data (Approx 50,000 images) 3$ per additional GB $199.9 /year. Plus: 39.99$ per month for 15 GB of Data (Approx 150,000 images) 2$ per additional GB.$399.9 /year. Enterprise:69.99$/ month for 50 GB of Data (Approx 500,000 images) 1$ /additional GB. $699.9 /year. 1. Sign up for a free account and confirm your email ID. 2. You will get a Kraken Dashboard. 3. Go to API dashboard> Copy the API Key and API Secret. Intelligent Lossy: Bit of quality is reduced but images are highly compressed. Lossless: As the name defines it retains the quality of the image. Micro: 5$/ month for 500 MB of images. 5$ for additional GB. 50$ per Year. Basic: 9$/ month for 2 GB of images. 4$ for additional GB. 90$ per Year. Advanced: 19$/ month for 5 GB of images. 3$ for additional GB. 190$ per Year. Premium: 39$/ month for 15 GB of images. 2$ for additional GB. 390$ per Year. Enterprise: 79$/ month for 60 GB of images. 1$ for additional GB. 790$ per Year. Till now this site is using EWWW image optimizer and runs smooth. 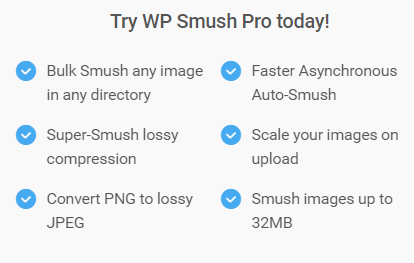 Smush Image comes from a very trusted developer. Check out the details for yourself and see which one performs the best for your site. Before you check your website speed after installing a wordpress image optimizer, I recommend emptying your page cache. Image optimization seo is an important part of the evaluation of WebPageTest results. We have already checked how to improve static cache content, enhance TTFB, Setting up a free CDN. Next, we will be evaluating GT Metrix and will see how to Defer Parsing of Java. So helpful! I didn’t even know where to get started. Thank you so much! Great info and great timing too.. lol. I just download UpdraftPlus and now I need to find somewhere to store it. I hadn’t opted for image compression, but after reading this I think is something I might start doing. Hello Nataly thank you for your words. Yes image compression is very much necessary when our blog uses too many images which slows down our site. Hey, have you given Sirv (https://wordpress.org/plugins/sirv/) a try? The WordPress plugin is fairly new, but the underlying service has been around for a while. Lots of sweet stuff like automatic image format conversion (including serving WebP to supported browsers), auto image resizing (especially nice for mobile users) an plenty of other features. Hey Igor thank you for the recommendation. I will surely check out its features. Wow thanks so much, this is very helpful! Been looking for some programs like this. I use Tiny PNG and have been really happy with it. Great Info! This is great! I did the basics on WordPress just to get mine up and running but need to greatly work on the look. Thanks for the great stuff!